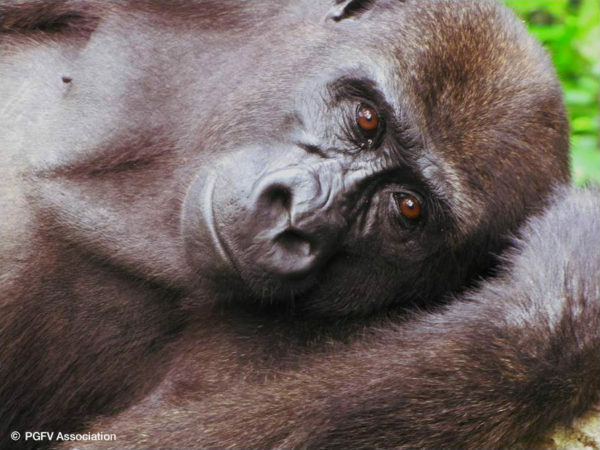 Sindila arrived at the Projet Gorille Fernan-Vaz in June of 2005 after being rescued by a tourism boat pilot from the hands of poachers along the Mpivié River. It goes without saying that Sindila became an orphan dependant on humans that day. It is very important to implement relevant sanctions to stop the illegal hunting and trafficking of great-apes. Sindila loves to play and forage in the forest and is a winner with all the females. He tends to be very protective of all females and therefore is likely the first in line for the position of the dominant male of the group. Copyright © 2014 - 2019 Le Project Gorille Fernan-Vaz. All Rights Reserved. If you encounter any problems with this website, please email webmaster@gorillasgabon.org.